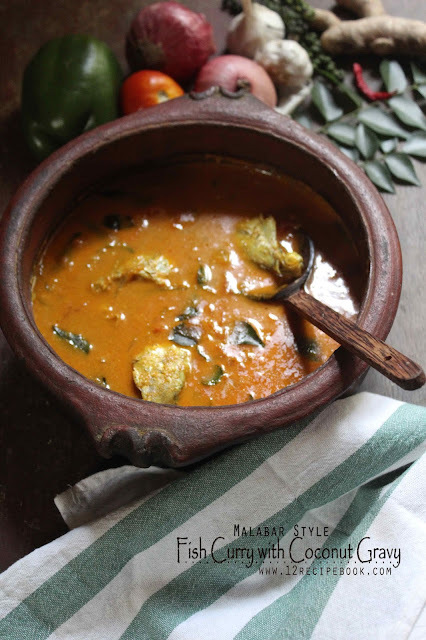 An easy malabar Style (northern coastal area of Kerala) fish curry prepared in delicious coconut gravy. Try this easiest fish curry and serve with hot steamed rice. In a grinder add grated coconut, cumin seeds, shallots, turmeric powder, chilly powder and coriander powder. Add little water and make smooth puree out of it. Soak tamarind in 1/2 cup of hot water for 10 minutes. Squeeze its pulp and keep it there. 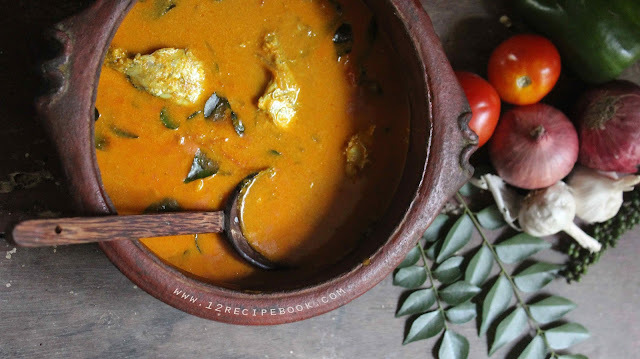 Heat a clay pot with coconut oil; add fenugreek seeds and allow to splutter. Add onion, ginger and tomato; saute few minutes until tomatoes are soften. Add pureed coconut paste and tamarind juice. Add some more water to adjust the desired curry thickness. Cover the lid and cook the curry for about 6-8 minutes. 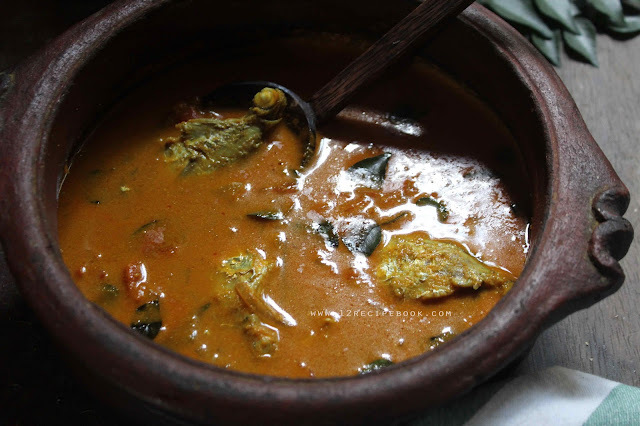 After that add salt, fish pieces, green chilly and curry leaves. Boil for another 4-5 minutes or until the fish pieces get cooked .